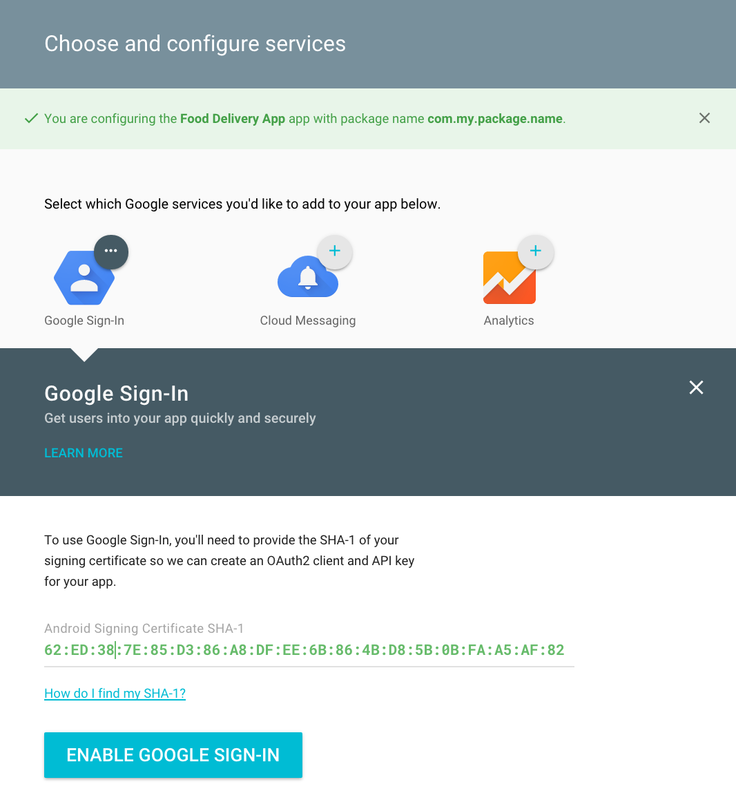 Starting with Google Play services 8.3, we did a major revamp of the Google Sign-In APIs, supporting both client and server auth. Behind the scenes, these APIs use OAuth 2.0 tokens to ensure secure authentication and authorization. To maintain security, we provide tools in the Google Developers Console to register the clients using these tokens. In this post, we’ll discuss the important task of registering OAuth clients for Google Sign-In, and the tools that we offer to make this as easy as possible. Start by creating a project in the Google Developers Console, which registers the client app on your behalf. 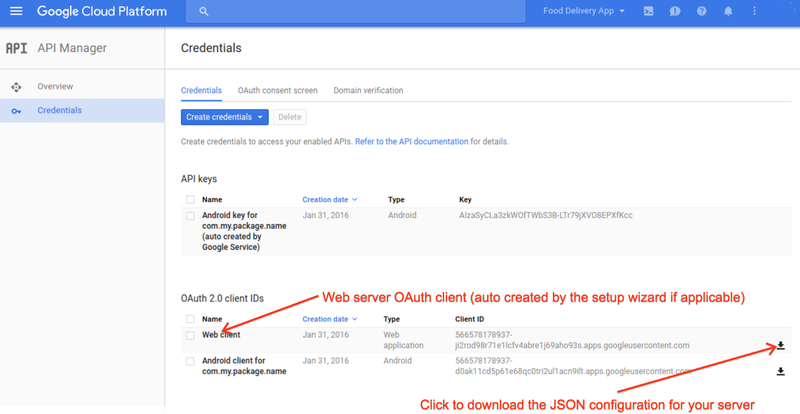 If you have a backend server in your project, you’ll need an OAuth client ID for it, too. And don't forget to register OAuth clients for other test and release versions of your app, too! In this post, we’ll cover some details on this process and address common pitfalls. 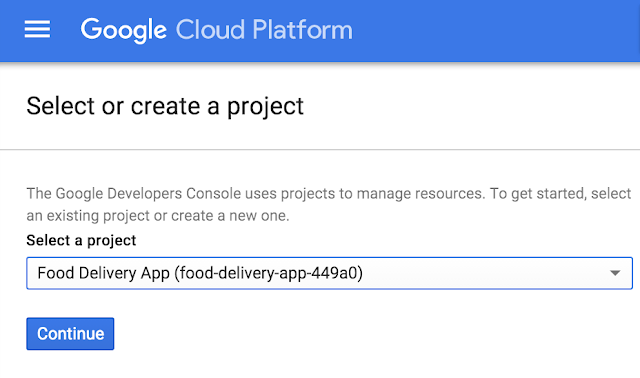 Getting Started - Create a Project in the Google Developers Console. If you have not used Google Sign-In before, you can start integrating the API into your app by following the ‘Get a configuration file’ steps on this site. You’ll be taken to a setup wizard that will create an OAuth 2.0 client ID as shown in Figure 1. Once you’ve specified your app, you’ll be taken to a screen to choose and configure services such as Google Sign-In, Cloud Messaging or Google Analytics that you want your app to be able to use. Choose Google Sign-In. In order to use it, you’ll need to get the SHA-1 of the signing certificate for your Android app. This can either be a debug or a release certificate, and for the purposes of this blog you’ll look at a debug one, but keep in mind that you’ll need to repeat this process for each package / certificate pair you end up using (described in the last section below). Once you have your SHA-1, enter it as seen in Figure 2. Now that your project is set up, you can get started with integrating the Sign-In API. But if you need to configure your project to work with a backend server or additional package name / keystores, keep reading the sections below. Server Config - Ensure your server is registered within the same project. If you have your own web or cloud server with data for your application, you’ll need OAuth credentials for your backend. Details on doing this can be found in the ID token and server auth code documentation. Before using these flows, you’ll need to make sure you register your web server correctly in the Google Developers Console. Once there, you’ll be asked to select your project. See Figure 3. Figure 3. Going directly to a project in the Google Developers Console. Once you’ve selected your project, press the ‘Continue’ button, and you’ll go directly to the Credentials tab where all credential types are managed. Check the “OAuth 2.0 client IDs” section, and you will see the “Web client” and “Android client for com.my.package.name” that were created for you by the setup wizard. See Figure 4. Successful verification will allow you to authenticate and issue a session for this newly signed-in user. At which point you can access authenticated Google APIs on behalf of the signed-in user. Note that the “client secret” is really a secret that you should never reveal in your Android client. Handling multiple environments - Registering other client IDs for your project. Note that it can be common for apps to have different package names as well as different certificates (and thus SHA-1 keys) for various types of environment (such for different developers or test and release environments). 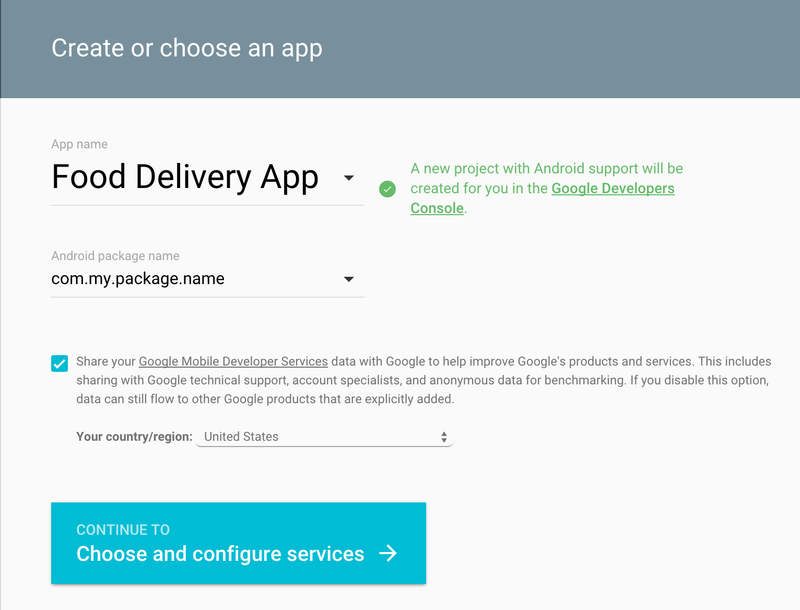 Google uses your package name together with SHA-1 signing-certificate fingerprint to uniquely identify your Android application. It’s important to register every package name + SHA1 fingerprint pair in Google Developers Console. For example, to register the release version of this package, you can do so by selecting ‘New Credentials’ -> ‘OAuth client ID’, shown in Figure 5 below, and then following the steps to add the package name and production keystore SHA-1. Now you are ready to handle the different environments where your app might be running and release to your users! Hopefully, this has been helpful to you in understanding how to register for OAuth keys to keep your apps and servers secure. For more information, check out the Google Developers homepage for Identity.